« What’s Next at the Phil? MUNICH — Fourteen months ago irate journalists confronted Valery Gergiev at a news conference here amid his preparations for a Stravinsky program with the Munich Philharmonic. The confrontation wasn’t over music, rather politics, but it did lead to questions for the orchestra’s management about his hours and pay, made more pertinent when the Stravinsky proved artistically hollow and the conductor’s rehearsing habits became better known in this city. Management demurred, until now, just ahead of the announcement of Gergiev’s first season (2015–16) as MPhil Chefdirigent. — How many hours of rehearsal took place for the [Dec. 18, 2013] Stravinsky program? How many were with Gergiev? — What does the MPhil normally expect of a guest conductor, in number of days with the musicians and number of rehearsals? — What is expected of any MPhil Chefdirigent as regards: physical presence in Munich; number of weeks of concerts per year; rehearsals; behavior or ambassadorship, including guest conducting, while away from Munich? 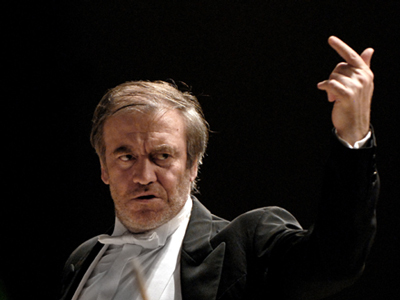 MPhil: Valery Gergiev has in the past as guest conductor rehearsed to the same measure and extent as all chief and guest conductors of recent years. At this unchanged intensity will he rehearse in his role as Chefdirigent from September 2015. [The number of weeks of concerts will not be detailed until the 2015–16 announcement] but will be in the same measure as for all other chief conductors. This applies to both Munich and tour concerts. We have talked with him about the currently practiced quantitative framework (das bisher praktizierte Mengengerüst), a basis that ensures that he and the orchestra can collaborate artistically at the highest level. Despite the Russian conductor’s future status as a City of Munich employee, the city-run Munich Philharmonic has refused to disclose the value of his contract, which runs as far ahead as August 2020. Says the MPhil, apparently overlooking their different status, “all guest conductors and soloists are treated exactly the same way,” i.e. with remuneration kept confidential. The contrast with the U.S. could not be starker: while Riccardo Muti’s mostly privately funded pay in Chicago, as example, is publicly stated, Gergiev’s earnings, paid essentially from public funds, are private. This entry was posted on Tuesday, February 24th, 2015 at 2:18 pm	and is filed under Munich Times. You can follow any responses to this entry through the RSS 2.0 feed. Both comments and pings are currently closed.